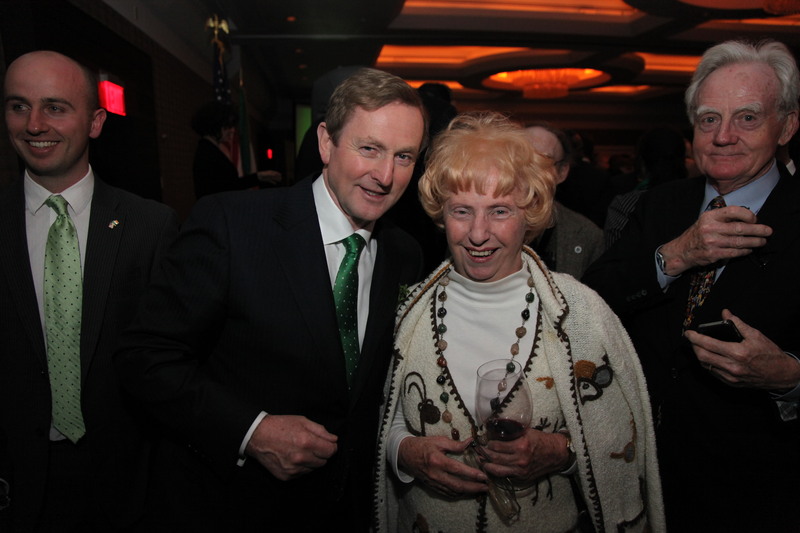 Over the past year I’ve had the pleasure of becoming acquainted with Noreen Kinney, one of the nicest and most important representatives of Irish America in the Tampa metro. Noreen is Culinary Ambassador for Ireland in the USA. She was a pioneer in the new Irish cuisine movement in the 1960s, and has played an important role in the island’s food scene ever since. Here is a detailed look at her career. Next fall Noreen will lead a “Presidential Scenic Culinary Tour of Ireland” from Sept. 26 through Oct. 4. The trip will span both sides of the border. Twenty-nine U.S. presidents have ties to the island of Ireland, from Andrew Jackson (Bonnybefore) and Ulysses S. Grant (Dergenagh) to John F. Kennedy (New Ross), Ronald Reagan (Ballyporeen), and Barack Obama (Moneygall). The food — and Noreen’s expert guidance — will be outstanding. This entry was posted in Arts & Culture, Politics and tagged Enda Kenny, Noreen Kinney on December 21, 2013 by admin.